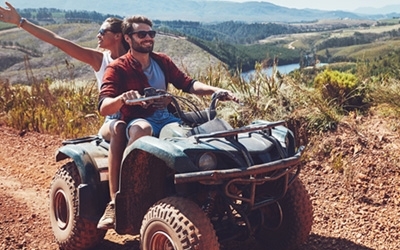 The adventurer will love the many activities on offer in and around Hazyview – from relaxed to the more extreme, there’s something for everyone who loves the great outdoors. A trip into the Kruger National Park during your stay at Ashbourne is an absolute must and a safari in an open vehicle isn’t to be taken lightly! 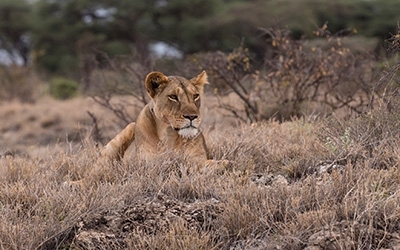 Enjoy close sightings of the Big 5 amongst other African wildlife. 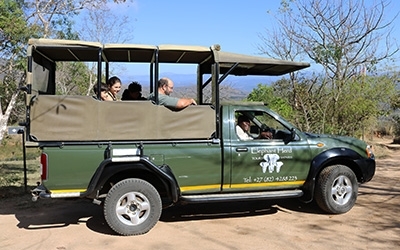 Get collected from Ashbourne in the open vehicle and driven into the Kruger National park for your safari. Please contact us to arrange your game drive. Explore every nook and cranny of the great and beautiful Sabie River. Known for being one of the cleanest river systems in South Africa, you are certainly in for a rafting treat, whether you’re a novice or a pro when you take a trip down the Sabi River and enjoy it’s outstanding birdlife, beautiful waters and diverse fish population. Elephant Whispers are dedicated to securing the future of the African Elephant, and welcome people of all ages to share in the excitement of close encounters with these magnificent creatures. The interaction with the elephant offers you the opportunity to touch the elephant, exchange trunk greetings and offer tasty treats. Experienced Elephant Handlers share their in-depth knowledge of fascinating elephant behaviour. Search for the waterfalls from above as you hop on board a 2-seater aircraft and enjoy a truly unique viewing experience. 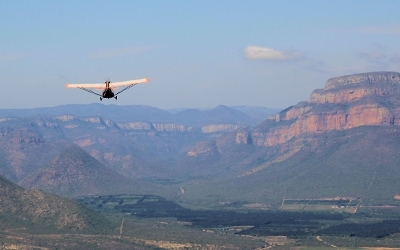 The photo opportunities are endless, the views are unforgettable and there really is no thrill quite like flying over one of South Africa’s most beautiful and prolific tourist destinations. 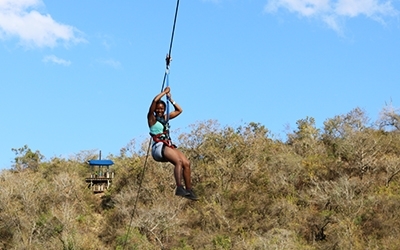 Experience the thrill of ‘flying’ through the trees along the Sabie River on an exhilarating cable trail. Enjoy the wide variety of birdlife, wildlife and indigenous forest as the track takes you down into the valley basin adjacent to the Kruger National Park, stopping along the way on a number of elevated platforms to admire the view. If it’s a racing pulse you’re after, then the Quad biking trails near Ashbourne will be right up your alley. 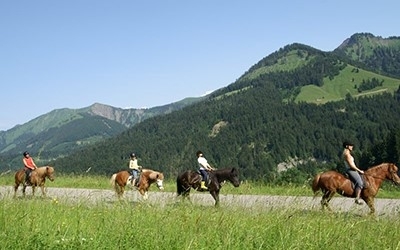 Enjoy an exciting day riding through scenic trails, indigenous bush and farmlands in and around the Sabie River Valley with the optional natural obstacles to negotiate. 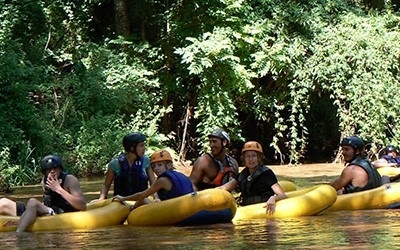 White Water Tubing takes place on the upper-Sabie River, where the scenery is spectacular and the rush of rapids is exhilarating. 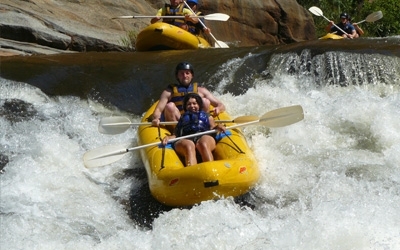 Feel the waters of the Sabie River rushing underneath you while you face the rapids. This is a high adrenaline activity. Located in the Mpumalanga province of South Africa, Hazyview is a small farming town well-known for its thriving banana industry. Situated nearby to the Kruger National Park, the town derived its name from the sparkling haze that occurs during the summer’s heat. There are plenty of things to do and places to see in Hazyview that will amuse and delight you. 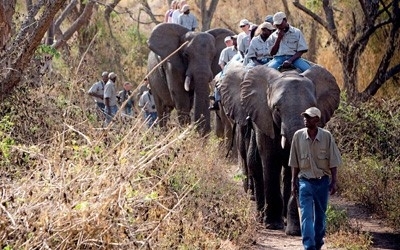 The world renowned Kruger National Park is the most important game reserve in Southern Africa. Home to the famous ‘Big 5’ amongst 147 species of mammal, over 500 bird species and 336 species of trees that span nearly 2 million hectares of land, there certain is no African wildlife experience quite like the Kruger Park. The Panorama Route is a scenic road in South Africa connecting several cultural and natural points of interest, taking you through amazing scenery and quaint villages close to The Kruger Park. 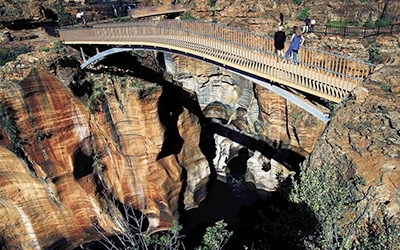 This popular self drive route is steeped in the history of South Africa. 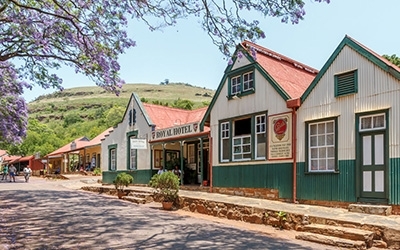 Nestled on the majestic Panorama Route in the Kruger Lowveld region, Pilgrims Rest is a unique historic village that is home to rich diversity, and an array of cultural and historic gems. The beauty of this village lies in its museums and historic sites, dating back hundreds of decades. It offers visitors a fascinating glimpse into the past and truly embodies the spirit of a bygone era, it’s people and their quest for gold. Marking the beginning of the Blyde River Canyon, Bourke’s Luck Potholes are a majestic natural water feature formed through countless eons, the swirling whirlpools which occur as the Treur River plunges into the Blyde River caused waterborne sand and rock to grind huge, cylindrical potholes into the bedrock of the river. Named after a gold digger, Tom Burke who staked a claim nearby, the pools are a must-see for any visitor to the area. 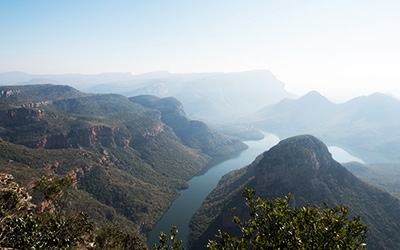 The Blyde River Canyon, forming part of the Panorama Route is the third largest canyon in the world at 25 kilometers long. It lies at the convergence of the Blyde River (River of Joy) and the Treur River (River of Sorrow) and was formed by water erosion into one of the most breathtaking geological sites in the country. 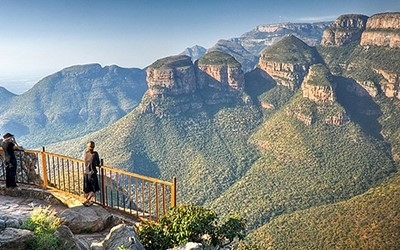 Arguably one of the best views of the whole Blyde River Canyon is of the “Three Rondavels,” three massive round rocks, thought to resemble the ‘huts’ of the indigenous people known as rondavels. 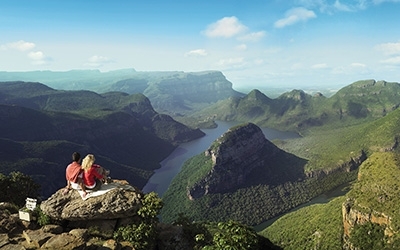 With sheer cliffs plunging 700 meters into the lowveld, God’s Window is an exceptional vista along the Panorama Route with scenic views and unforgettable vantage points with hills and forests as far as the eye can see. Named after its Eden-like appearance, this really is a piece of heaven that seems to stretch on for eternity. Contact us if you’d like us to arrange any of the above activities for you and our team would be happy to assist you.